What’s black and white and red all over? Yesterday’s Falcons/Cards game, as two of the NFL’s worst-dressed teams squared off in a matchup of similar color schemes. Lots of additional photos here, if you dare. • Brutal-looking game in Buffalo, as the Bills went mono-red. I hate this look for them — they’re a blue team, not a red team! • Not a single home team wore white. And that was it. A fairly quiet Sunday from a uni-centric perspective, in part because there were two games on Saturday. Membership update: A few new designs have been added to the membership card gallery, including Matt Taverna’s Bledsoe-era Patriots-themed card, shown at right. As is so often the case, Taverna’s card is an example of a jersey that didn’t look good in real life but looks great when rendered as a membership card. Box score: Two and a half years ago, during the summer of 2016, I was raffling off a bunch of caps and mentioned that I was looking for cap-sized boxes in which to ship them. A Uni Watch reader who worked for a corrugated cardboard company helpfully stepped up and got in touch with me. Unfortunately, I don’t recall that reader’s name, and I can’t seem to find our correspondence in my email history (you’d think a simple search on “corrugated” would do the trick, but nope), but I’d like to talk with him again. If that guy is reading this, and/or if there’s anyone else out there who works in the box biz, please give a shout. Thanks. New HQ, continued: When I was growing up, our family was nominally Jewish, but my parents had gotten increasingly non-religious over the years (my older brothers were bar mitzvahed but I was not), plus we were the only Jews in our town, plus-plus my oldest brother’s birthday was Dec. 25. For all of those reasons — plus, I think, just because we were suburban Americans — we always celebrated Christmas. For the earliest years of my childhood, my mom would create a de facto Christmas tree by putting arty decorations on the lemon tree that lived on our sun porch. Then, maybe when I was eight or nine, we started getting a real Christmas evergreen each year. I think my parents didn’t want me to feel too different from all the other kids in the neighborhood. I’m not sure when I last had a Christmas tree — maybe in the early ’90s? — but it’s definitely been at least 25ish years. It wouldn’t have occurred to me to get one this year, but I’m really glad the Tugboat Captain suggested that we do so. It looks great, smells great, and Uni Watch girl mascot Caitlin hasn’t climbed it yet. Another nice symbol of how wonderful I feel here in my new home. Raffle reminder: In case you missed it last Friday, our annual year-end raffle, featuring dozens of cool items (including the authentic Rangers jersey shown above), is now underway. Full details here. Baseball News: Reader Matt Malinoski found this eBay listing for a white ca. 1960s Angels cap. “Were caps like these ever worn in a game?” he asks. [Not to my knowledge. — PL] … There’s a company out there that’s making some very nice caps by hand (from the pseudonymous Jerusalem Stone). Football News: Here’s one blogger’s ranking of NFL teams by uniform. “The author is so lax in not taking the time to learn what each team is currently wearing,” for example, the Ravens appear to be ranked based on their Color Rash jerseys, “that I thought I’d pass it along,” says Jeffrey Sak. … Reader Marty Hick, who sent us a Missouri Botanical Garden-themed hockey uniform concept a few months ago, is back with a similar football uniform concept. … The Koshien Bowl, Japan’s university football championship played at the baseball stadium of the same name, was color-vs.-color between Waseda (maroon) and Kwansei Gakuin (blue) (from Sy Hart). … The Cedar Rapids River Kings of the Indoor Football League revealed new jerseys (from Al Gruwell and Ben Bryan). Hockey News: The ECHL’s Idaho Steelheads wore Teenage Mutant Ninja Turtle-themed jerseys (from Brett Thomas). … NASCAR second-tier drivers Michael Annett and Ryan Ellis — the latter of whom is a huge Capitals fan — are to be part of a team playing in an outdoor hockey tournament at Michigan International Speedway wearing these jerseys (from Adam Apatoff). … Reprinted from yesterday’s comments: Christmas sweater-themed uniforms for the OHL’s Sarnia Sting and Niagara IceDogs (from Wade Heidt). 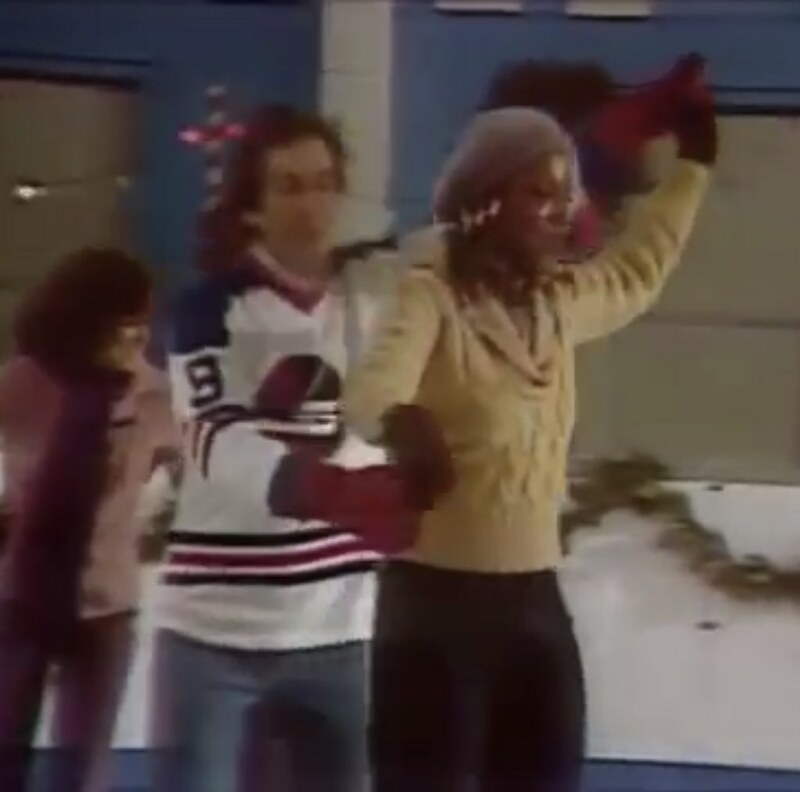 … Sesame Street’s Bob McGrath wore a Jets jersey in the show’s 1978 Christmas Eve special, when the Jets were still in the WHA (from Alan Filipczak). Basketball News: Indiana State wore throwbacks for the 40th anniversary of the 1978-79 team that reached the national championship game (from Justin Mitchell). … Here’s an article on the Trail Blazers’ beautiful gameday posters (NYT link), which are designed by local artists (thanks, Paul). 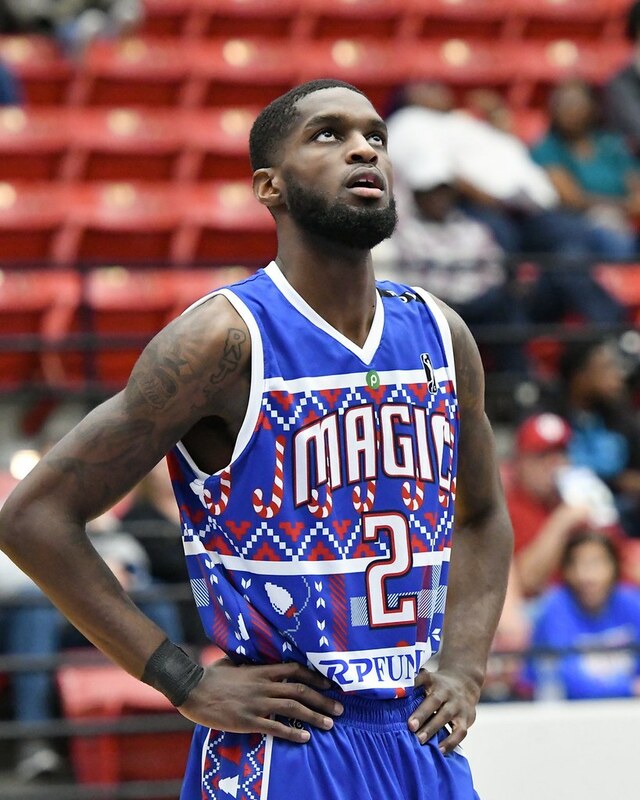 … The D League’s Lakeland (Fla.) Magic wore Christmas sweater-themed uniforms (from Wayne Koehler). Soccer News: The Premier League doesn’t allow elaborate pitch patterns anymore, but lower English leagues still do, and the pitch at League Two’s Cambridge United featured Christmas trees Saturday. … Several League of Ireland teams have released kits recently, including First Division Shelbourne, Premier Division Waterford, and 90th anniversary efforts for the Premier Division’s St. Patrick’s Athletic and Derry City, the latter of which is in the team’s original color scheme of claret and blue instead of red and white stripes. … Italian team Frosinone (yellow and blue) also wore a 90th anniversary kit yesterday, with a lace-up collar. … Mexico wore black as first choice for a few years ending in 2015 – as it was first choice, I would call it of the few genuine examples of BFBS in soccer – and now some observers think it might be back for next year’s Gold Cup (from Josh Hinton). Grab Bag: Also posted in hockey: NASCAR second-tier drivers Michael Annett and Ryan Ellis are to be part of a team playing in an outdoor hockey tournament at Michigan International Speedway wearing these jerseys (from Adam Apatoff). … Here are some of the logo proposals for the original Ghostbusters (from Johnny Garfield). 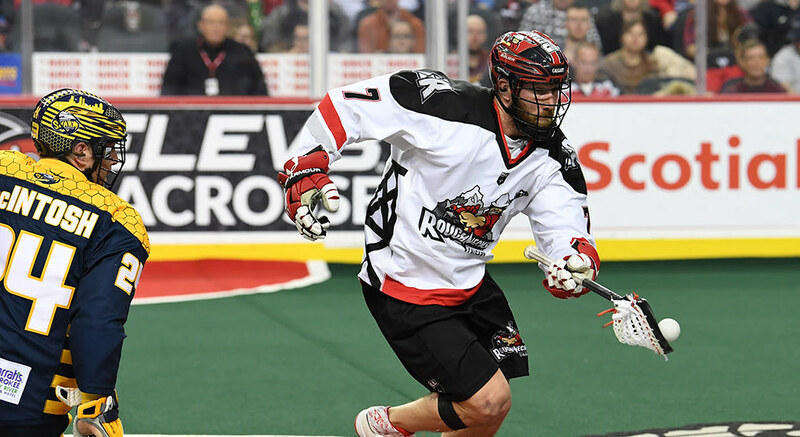 … The National Lacrosse League’s Calgary Roughnecks have a new helmet decal, compared to last year’s (from Wade Heidt). 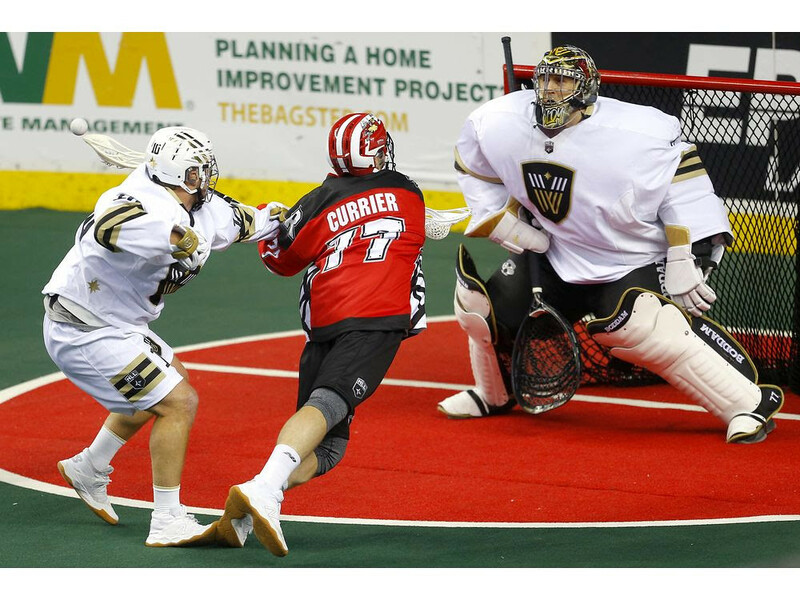 … Also, Wade tells us that NLL teams usually only have one set of gloves and helmets, but the newly renamed and redesigned Vancouver Warriors have white gloves and helmets to go with their white jerseys. … Players on Australia’s men’s and women’s field hockey teams now wear perpetual ID numbers below their crests, assigned according to the order in which they first appeared for the team. 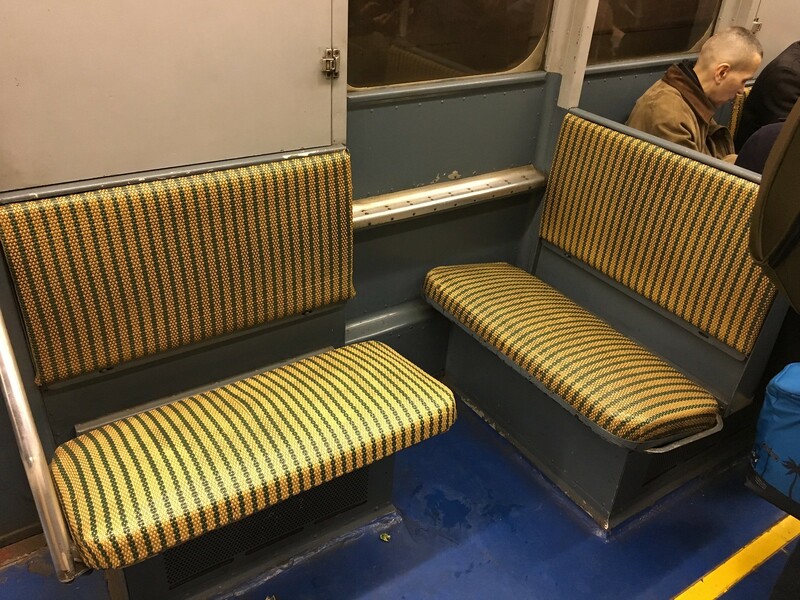 What Paul did last night: Every winter holiday season, the NYC subway rolls out the “Nostalgia Train” — a train comprised of a bunch of old subway cars from the 1930s, complete with vintage furnishings, ads, and so on. The train usually runs several times each Sunday in December, so yesterday we decided to get on board for the last departure of the afternoon. 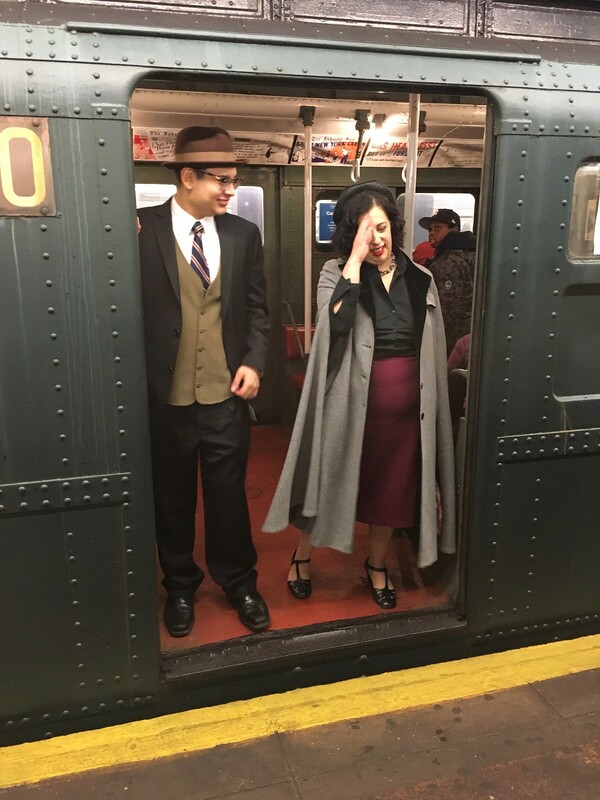 There are three primary types of people who show up for the retro train: serious train nerds (who can be overheard discussing all sorts of subway minutiae), serious 1930s fashion types (who get all dolled up in period attire and then pose for photos, which are often taken by fellow vintage fashion types wielding vintage 1930s cameras), and everyone else (that’s us). Everyone coexists nicely — there’s definitely more happiness and friendliness on this train than on your average NYC subway. The trip also feels like a bit of a thrill ride at an amusement park, because the old train cars are a bit rickety and very loud. You can see a bunch of photos I took here. Now here’s the kicker: The guy sitting next to Arthur — another member of the same church choir — said that Arthur sang lead on the Village People’s two biggest hits, “Y.M.C.A.” and “In the Navy.” We said, “Really?” and Arthur sort of sheepishly said that yes, he had done those recordings, although he wasn’t an official member of the band and never performed with them. 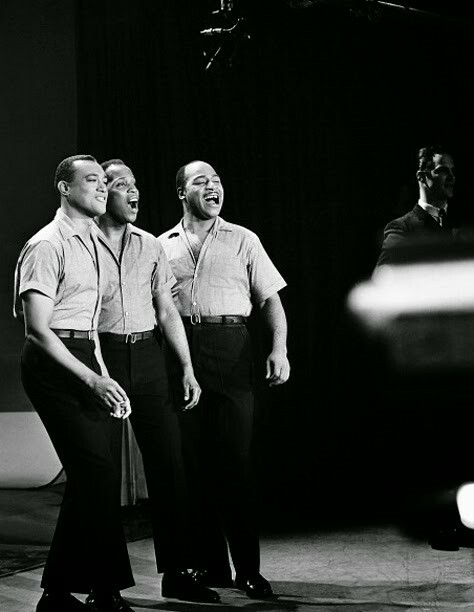 I did a little research when I got home and couldn’t find anything to corroborate that story, but it certainly wouldn’t be the first time a popular group had brought in a ringer for a studio session. In any case, Arthur and Ken were both absolute delights, and we were a bit sad when we had to say good-bye and move on to our next destination. After taking in a few hours’ worth of music, it was time to head home (we would have stayed longer, but I had to write today’s blog post!). Between the retro train, kibitzing with Arthur Williams, and making the scene at the American Legion, it was an extremely satisfying Sunday. Hope yours was just as good. Awesome stories about Arthur and your new tree. Looks like it’s a good holiday for you, happy to see that. Happy Holidays Paul, thank you for all you share with us. Completely changing MetLife Stadium from one motif to another (Jets to Giants in this case) would take 2 8-hour days. Due to all the logistics involved, I would’ve been shocked if the stadium didn’t have slash-lined end zones this past weekend. The Falcons and Cardinals wore the same jerseys already two years ago. On paper, the Rams throwback combo is as bad as the rest of their abominable uniforms. But on the field, the navy helmet works nicely with the royal in the unis. Makes the gold horns pop more than they otherwise would, so it brings out the gold accents in the uniform. And the navy doesn’t clash with the royal after all; it just sort of disappears from view. I hope the Rams go with royal when they’re allowed to choose new uniforms in 2035 or whatever absurd, arbitrary date the NFL set, and if they do, I assume they’ll also go with lighter helmets, but I kind of wish they’d buck design norms and stick with navy helmets. The NFL has set no arbitrary date. The reason they haven’t changed their jersey is because they don’t want to do it until they move into their new stadium. They wanted the best of both worlds, changing when they moved to LA (the white horns) and also when they move into their new stadium. The NFL’s rule for jersey changes (which isn’t a bad rule, prevents teams from going NCAA and changing every year) means they couldn’t do new jerseys both times. They should have either just made the change when they moved to LA, or kept the navy and gold from STL until they moved into their new stadium. This mess is on them, not the NFL. Paul, I had asked last week about the company that made the uni watch alt cap, you had said golden sombrero, though when I searched for that I just got results about the 5 strikeout nickname. Any chance you could send a link along? Also, awesome story about your encounter with Arthur. Amazing what great people you can meet just by talking to a stranger sitting next to you. You seem to have a penchant for it as well, I hope you document it all, all of those stories from chance encounters could make a great book one day. How lazy is Under Armour? All it takes is a quick Google search to find Indiana State’s 1979 uniforms and then develop something that looks close. The throwbacks aren’t even close. The fonts are way off, and the outline appears to be too heavy. Just a terrible job. Steelers wore the Color Rush….I guess there’s no difference between saying they wore mono-black, just in case you have any additional tags for research purposes. I love a live tree, glad you went in and did it Paul, looks great next to the window as well. And thanks for sharing the story of the Nostalgia Train, can’t wait to flip through those photos! Great piece on your Sunday. Mine wasn’t that good until about 11:30 (Eagles win). Excellent pictures establishing the mood of the event. Then couldn’t help noticing in the pictures that Zip Code ad – probably not all that authentic to the 1930s. Somebody slipped up in the set decoration. 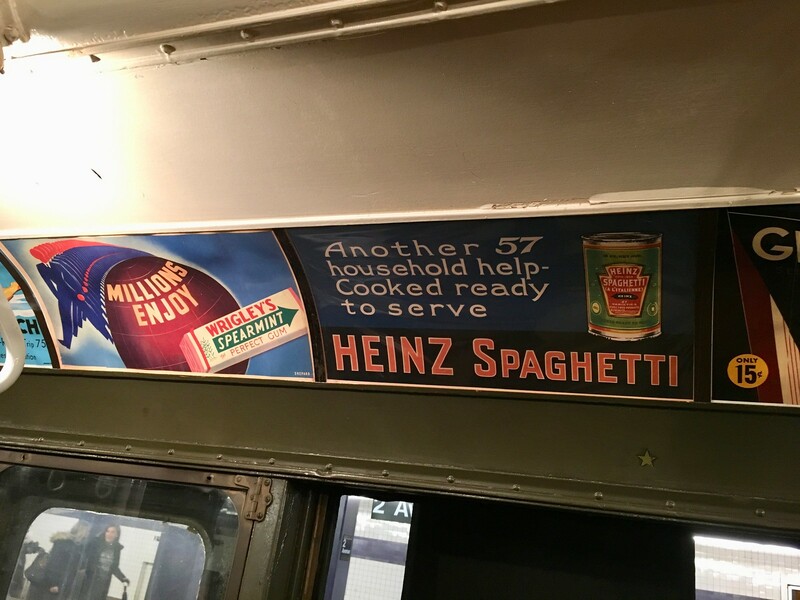 The ads on the nostalgia train are a mix of vintage ads from different time periods, I think there are definitely ads from the 70s and 80s too. Like the tree. LOVE the chair. Interesting patches on the Japan college football uniforms. Waseda’s 2018 patch is a near copy of the CFP patch. Kwansei Gakuin has two Koshien Bowl patches. I should think that Arthur’s Village People claim is legit. Who would claim *those* two songs? Btw, those are great songs. There are simply others that one might attach their name/fame to if simply trying to impress. ago, I’ve been on a quest to find one. My section of Harlem seems to be dominated by pricey bars that seem directed towards young (black)urban professionals..still looking for a Harlem equivalent of a neighborhood pub…. Let’s put it this way: It’s not far from the American Legion I mentioned. You can take it from there! Last weekend, there were 10 small jazz bands underground. They were awesome. 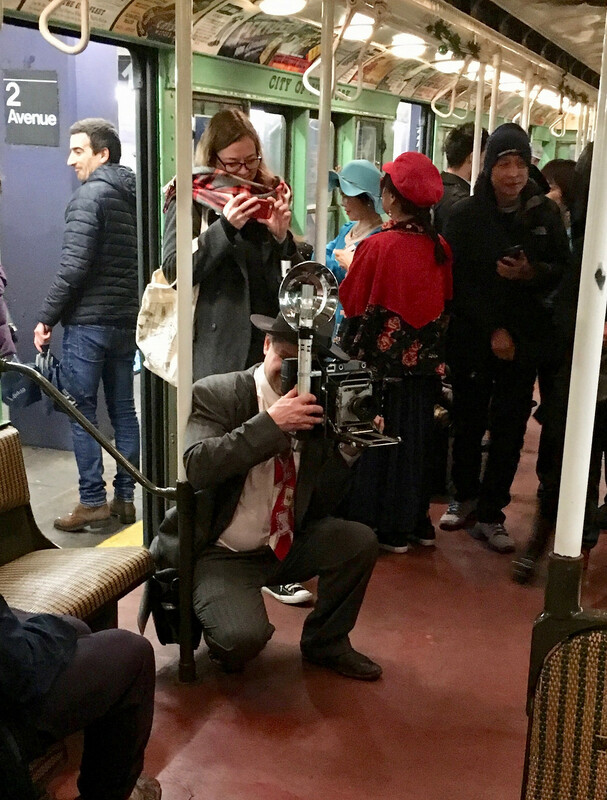 Man I would love to ride those nostalgia trains… and vintage 1930s cameras?! Where on earth would you even find those, or parts for them (ebay I guess)! Thanks so much for sharing the Nostalgia Train photos! Loved the “Bet you do better in a hat” ad. Are these even ticker-worthy? I know, if you don’t like something skip it (I did), but there are a lot of pieces like this that are getting more attention than they probably deserve. Can’t forget the entertainment factor; like watching a slow motion car pileup. I mean, the dude is from Detroit, on a website that has Detroit in the URL, and he can’t even get the correct Lions’ helmet? Just so’s you know, he ranked the Browns’ current togs #6 – SIX!! 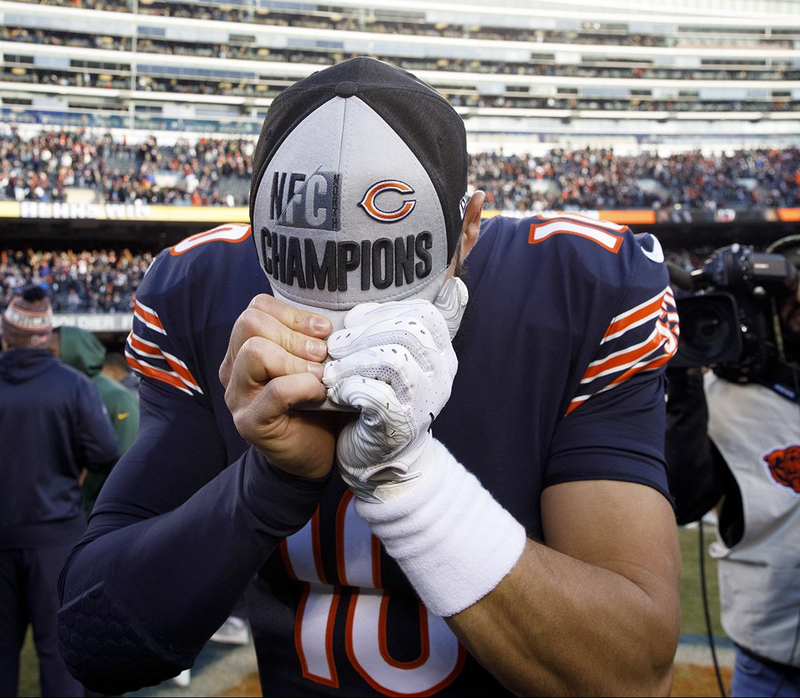 – over such classics as the 49ers, Chiefs, Jets, and Giants. Agreed. He didn’t do any research it seems. 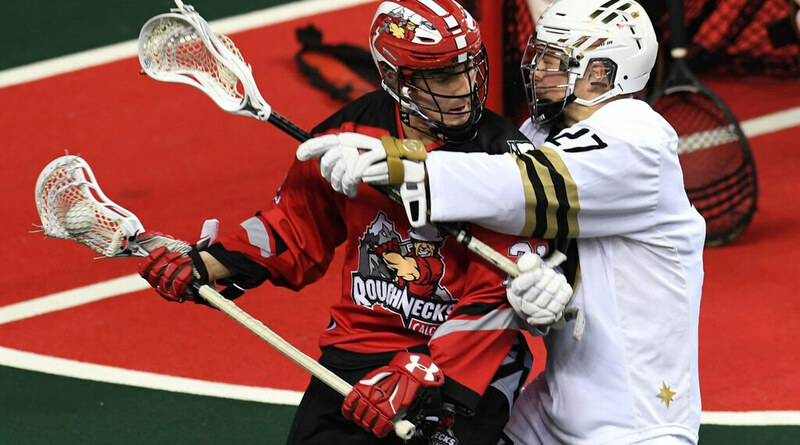 The photo of the Roughnecks vs. Steal- er, WARRIORS in NLL action floors me; every time I see a box lacrosse goalie wearing a Thanos-sized chest and arm protector. That thing is so big that Garth Snow would take one look and say, “can’t do it, too big”. I realize I am likely among the minority – but I love the Rams current set. Navy and White. White horns, White mask. To me, they are one of the best looking teams in the league. -No Capri-pant looking underwear sticking out of the legs (like back in the day. I always love when I scroll down and see the “Get Out More” logo. Paul takes great advantage of his city; something I know I’d be lax on, even if I lived in NYC. Keep these posts comin’! Michael Annett played a few season in the USHL for the Waterloo Black Hawks…hoisted the Clark Cup in 2004. Anyone know his sweater # of have a pic? Saints in black pants again tonight. Have they worn their gold pants at all this year? Here, you can look that up yourself on the mighty Gridiron Uniform Database! I would like them to try wearing the CR jersey with the gold pants. I think that might look really nice. Paul, Thanks for the trip down memory lane. I remember taking those trains to Yankee Stadium and Coney Island in the 60s when the D train was running on what is now the F line. Cane seats, porcelain covered poles and ceiling fans…they don’t make em like that anymore. Love the old ads, especially the Rheingold ad because it was my brand when I was a teenager. An awesome Sunday, Paul – we had our own version as my 4 yo son and I caught the Holiday Train up at 125th St and took it all the way downtown before continuing on to Brooklyn to my brother’s. My son is a HUGE train geek, and it wouldn’t surprise me if he becomes a “Type 1” in your classification system. I’m Type 3, but getting dangerously close be being a wannabe Type 2. Certainly, that’s almost as much of an attraction as the trains for me! It truly is a fantastic tradition, and I look forward to it every year. How right you are about the congeniality, and how welcome it is. We struck up a couple of great conversations with complete strangers. Funny, though, this is the first year I found some of the Type 2s a tad arrogant as a few had not only their own personal photographers with them, but their own ENTOURAGE of photographers and videographers. Some even bull rushed the crowded train to grab a seat for their photographs, not caring for the dads and moms standing with and holding their little kids… But that’s my only complaint… Really a great day for us and many others! I agree 100% that Falcons vs. Cards is quite an eye sore. What’s even more sad is that both teams had clean, classy uni’s back in the days of Steve Bartkowski and Jim Hart. I would rather see the Cardinals wear their cardinal red pants in that case, though. Really glad to read that you’re so happy in your new HQ. I too recently moved and am waiting to feel completely comfortable. I like reading about your time away from the job. It seems you have a very nice life. I would definitely go for a ride on that train if I had the opportunity! Great story about meeting Arthur, Paul.